About a month ago, I noticed a cool post on Skull and Crown about 10mm wagons created with a laser cutter on mat board for a game of Warmaster. Further, he had some spare, which could be requested... naturally I sent an email to that effect posthaste. 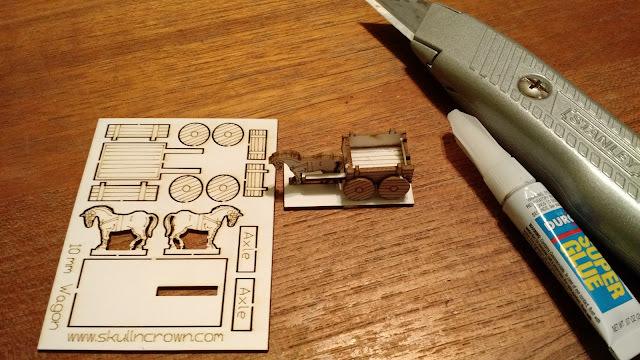 A couple of weeks later, two wagons came through the post, and after the usual delay in waiting for time without the kids about, I put one together. Pretty effective I think, and very easy to assemble (aside from some small fit issues caused by me using all four walls without trimming). I think this took me about 10 minutes, most of which was spent on the walls of the wagon. 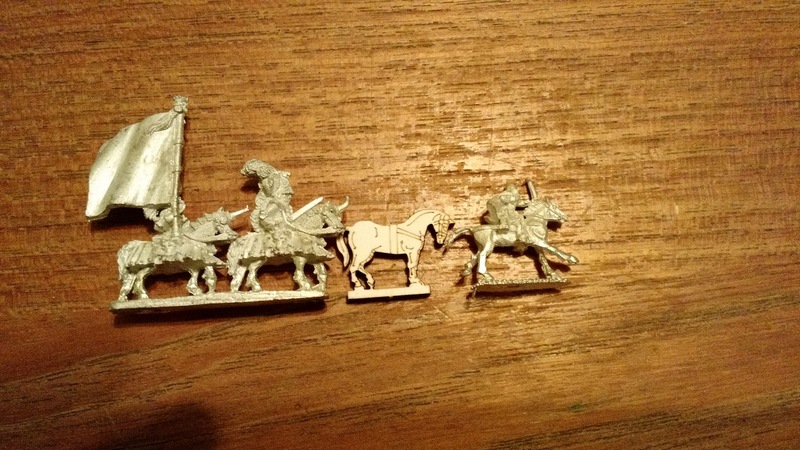 Here is the horse as compared to two metal ones I had handy. Conclusion: great little piece, and should be useful for a wide range of armies.